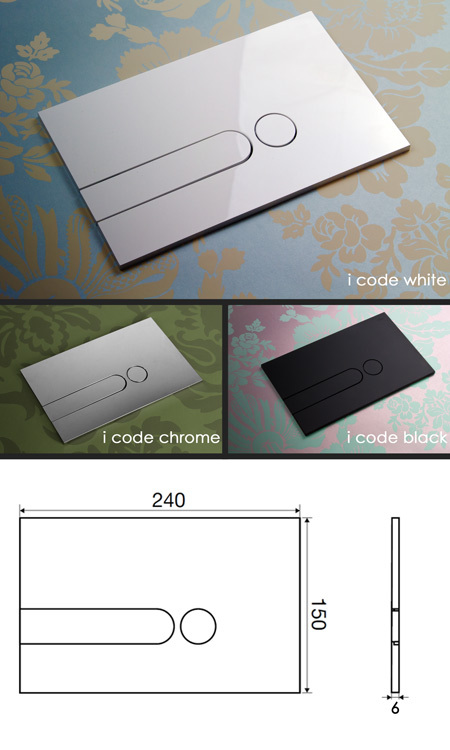 The i Code flush button is designer finishing touch to contemporary bathroom design. Each flush plate has a half and full flush which is mechanically operated. This toilet cistern flush plate can be supplied in white, chrome plus an attractive black & chrome mix. * Compatible with Livinghouse cisterns only. * Made of rigid ABS resin.